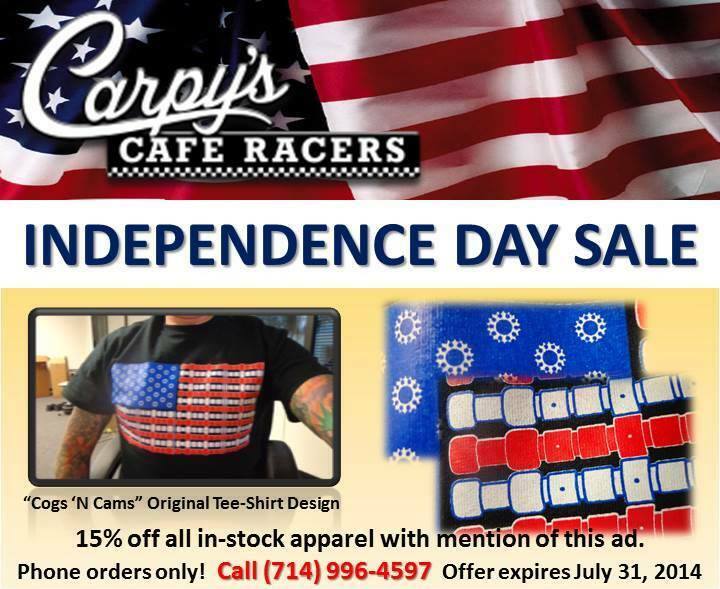 INDEPENDENCE DAY SPECIAL OFFER ! Well, you still have time and I thought we would offer a cool deal for this week. We try and help as much as we can and of course even celebrate Holidays too, so enjoy your 4th, with Our unique design that I made using Sprockets and Camshafts for this great time of the year. Celebrate with us and enjoy the 4th like we will. This entry was posted in Blog and tagged cafe racer, cb750, classic motorcycle, Honda, independance day, july4th, royal enfield, thruxton, triumph.